This beautifully crafted doctor case comes full of 9 quality wooden doctor's tools to treat sick teddy bear or doll. 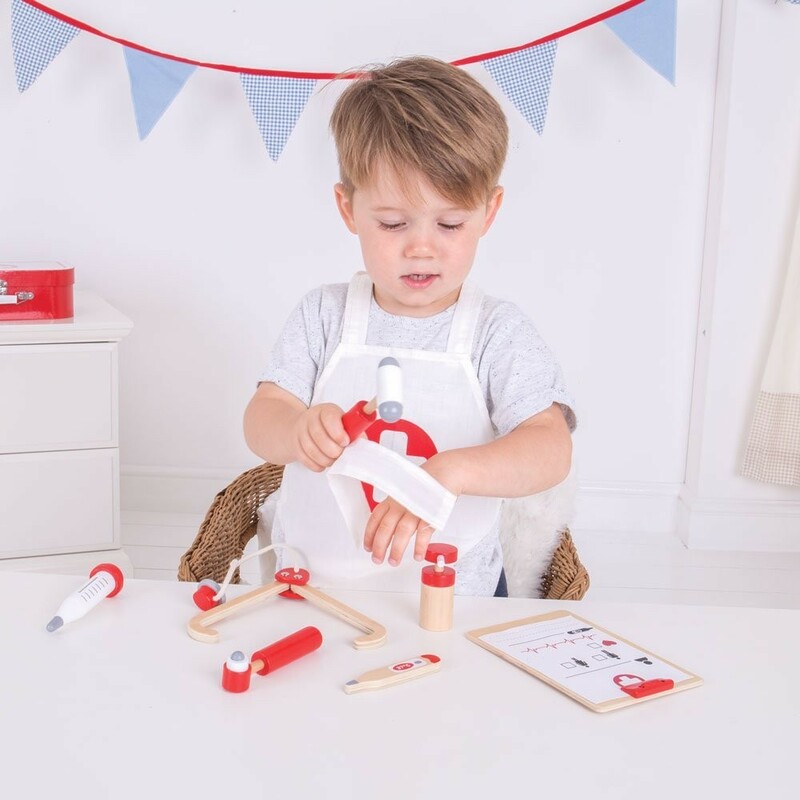 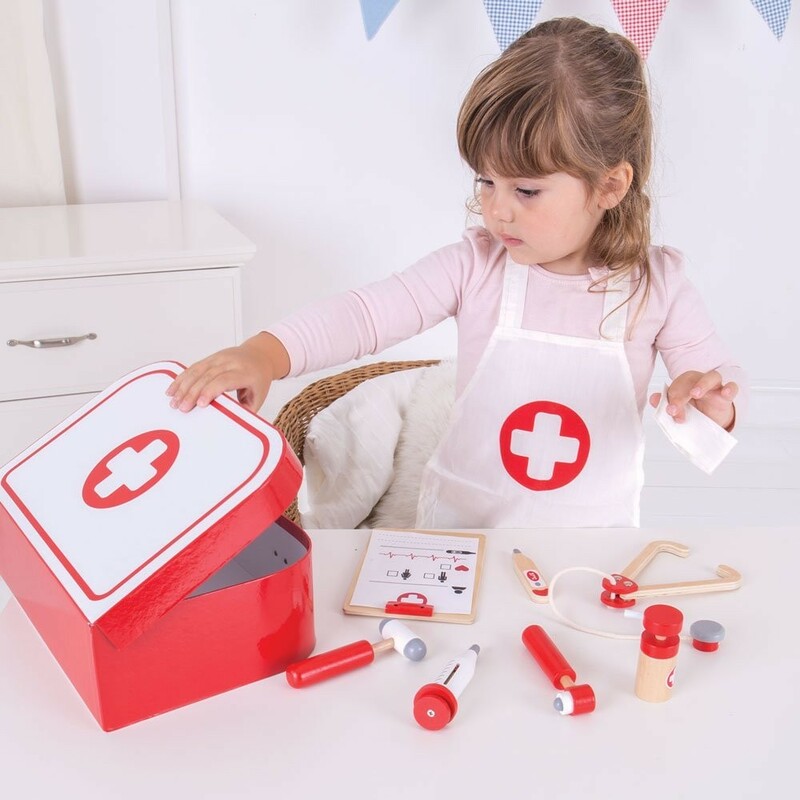 This beautifully crafted wooden play doctor kit has everything your little doctor needs to nurse sick toy animals or dolls back to health. 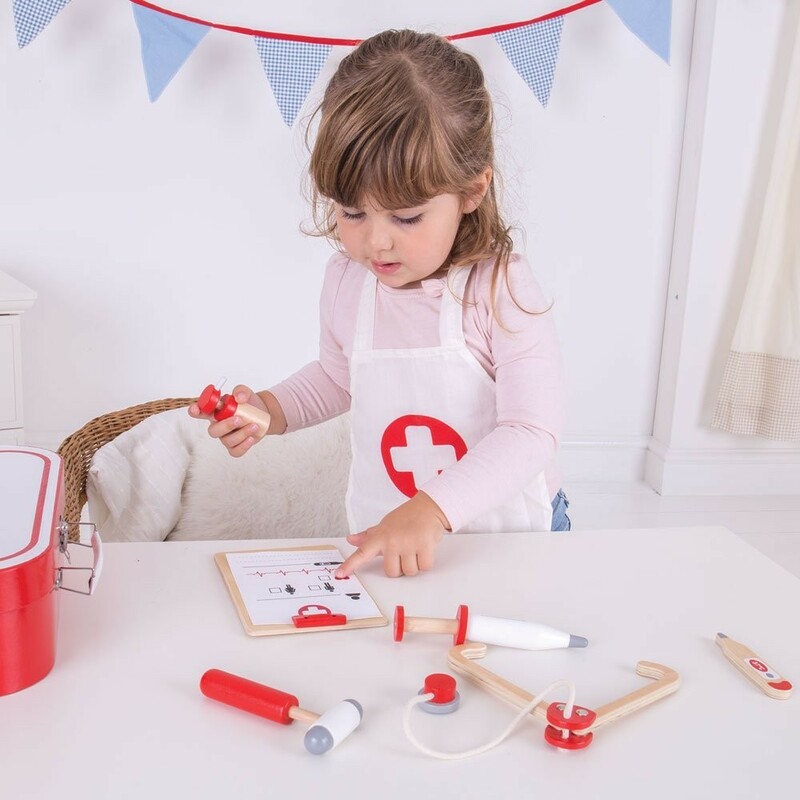 Using the stethoscope children can listen to their patients heart, check their temperature with thermometer and even take a look in their ears with the otoscope. 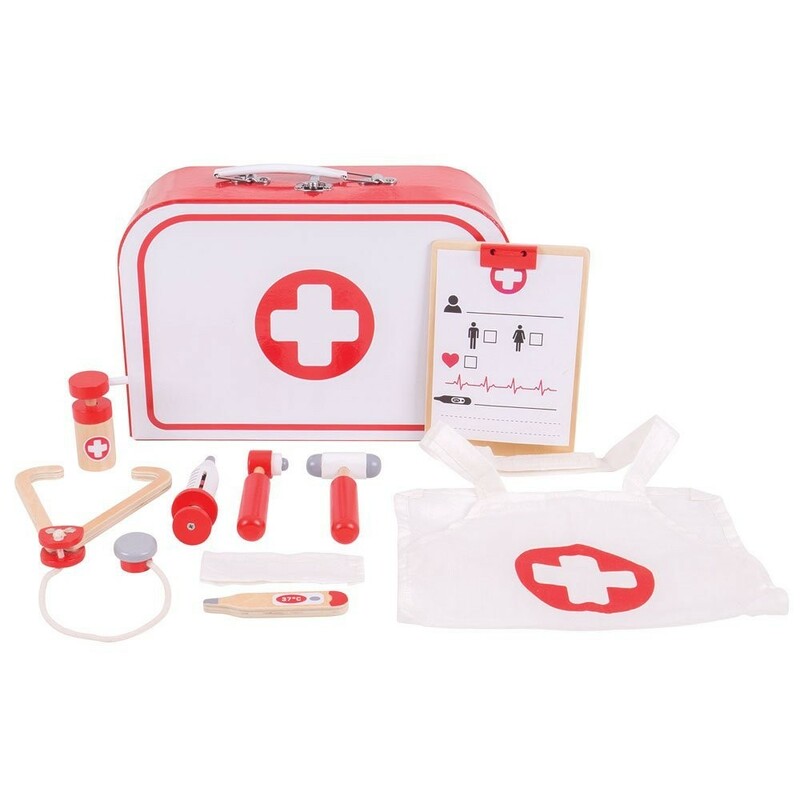 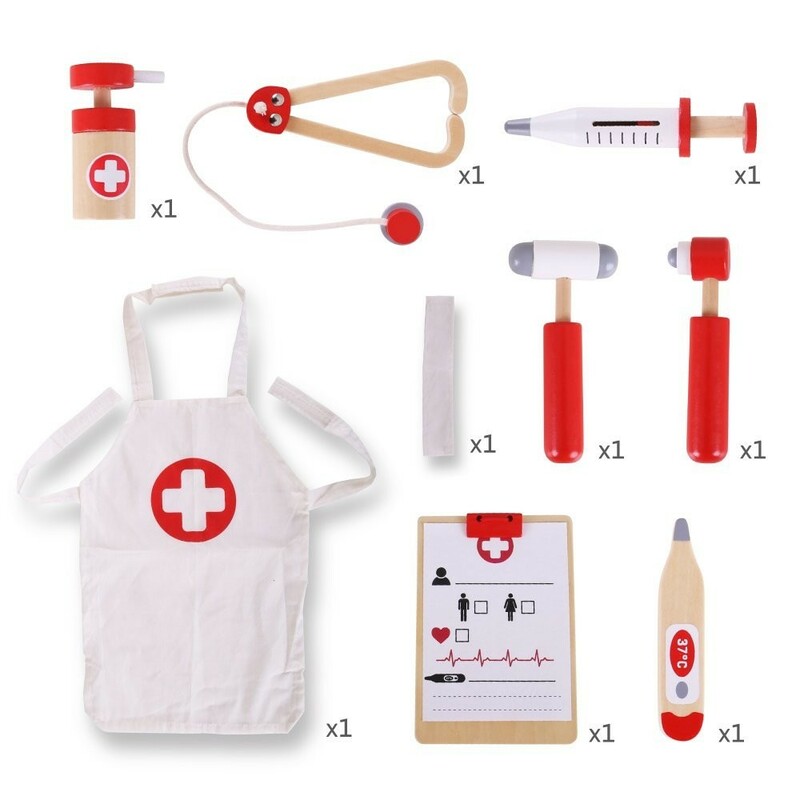 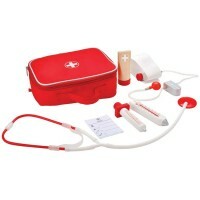 This pretend play set features a medicine cream bottle, reflex hammer, otoscope, thermometer, syringe, stethoscope, clipboard with paper, apron and bandage all supplied in a colorful carry case with handle. 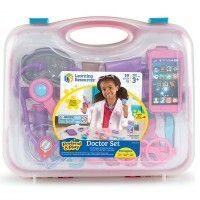 Educational Toys Planet's kids' doctor set is a great way to encourage creative and imaginative role play sessions and help children understand the process of going to see the doctor. 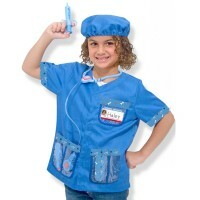 Promotes social and language skills as children talk to their patient, discussing what is wrong with them. 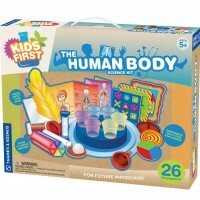 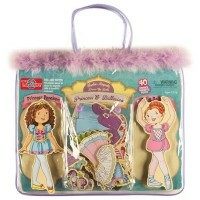 Encourages nurturing behavior and empathy. 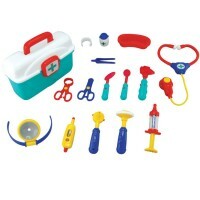 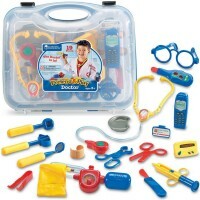 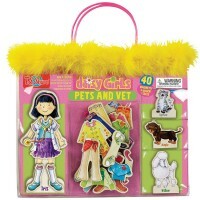 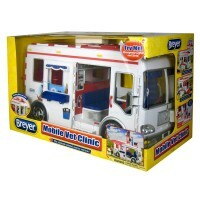 Dimensions of package 11.42" x 3.62" x 8.27"
Write your own review of Doctors Kit 9 pc Wooden Playset in a Case.